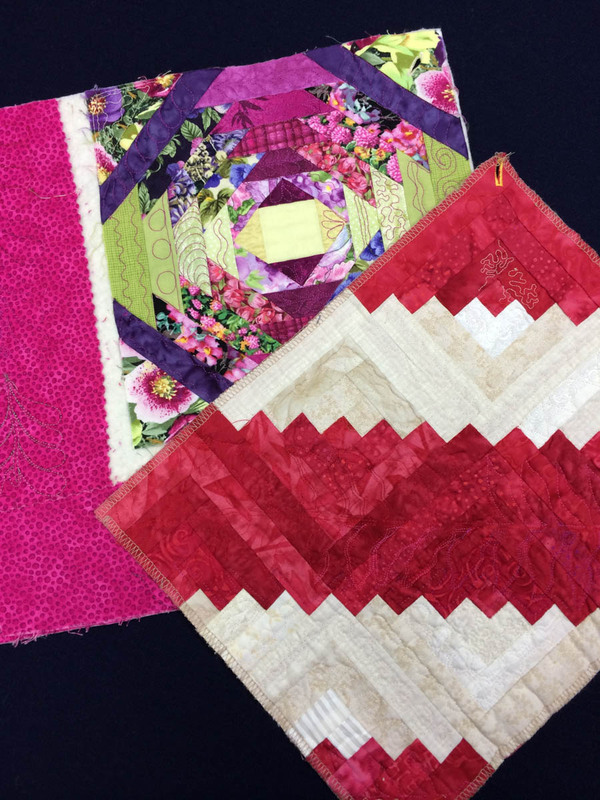 Quilt Artist and Instructor Pat Delaney shares some batting tips that might be useful for you next quilt. The market offers many types of batting and it can be very confusing. I have a few thoughts on why I choose certain types for my projects. I do lots of home machine quilting and I like my quilting to really show up. I find wool gives extra loft and really fills the design well. It is also light weight. This is my number one choice for my larger projects because it is light to work with, it is very warm, but breathable, it doesn’t hold a fold crease like cotton, it has lots of loft, and it will take lots of dense quilting without becoming stiff. It actually shrinks less than cotton! Tip: Don’t forget to put in a new needle. I love the needle minder on my BERNINA 780 to remind me what is in the machine! Another choice might be all cotton batting. This might be good as it will shrink and give a “puckered” look for an antique style quilt. I made one quilt with silk batting and, while it was lovely to stitch on, it was heavy to work with as compared to wool. Tip: To get the packaging wrinkles out, I place in the dryer for about ten minutes to relax the creases. 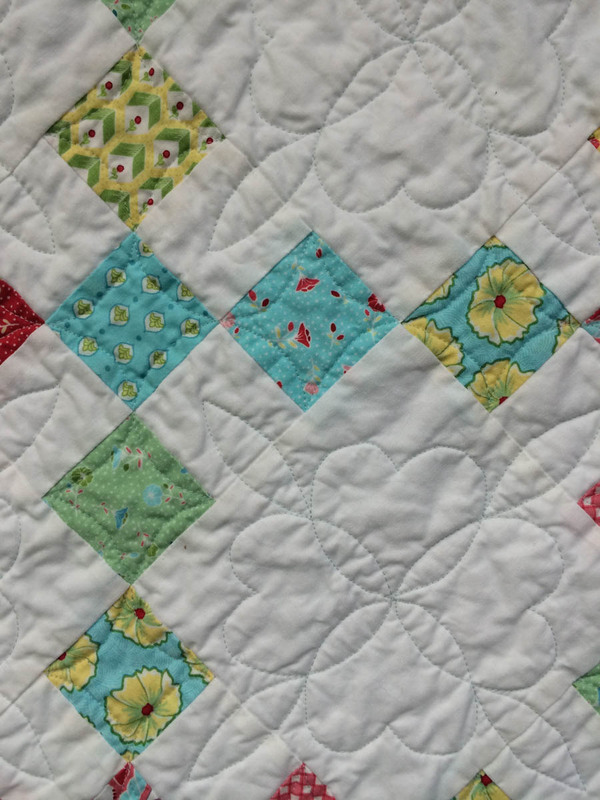 Tip: Make a sample sandwich of the exact quilt top, batting and backing fabric to use as a test before starting a new quilt. If I am making a miniature quilt, wall-hanging, or an article of clothing, I like Thermore, the thinnest batting on the market. 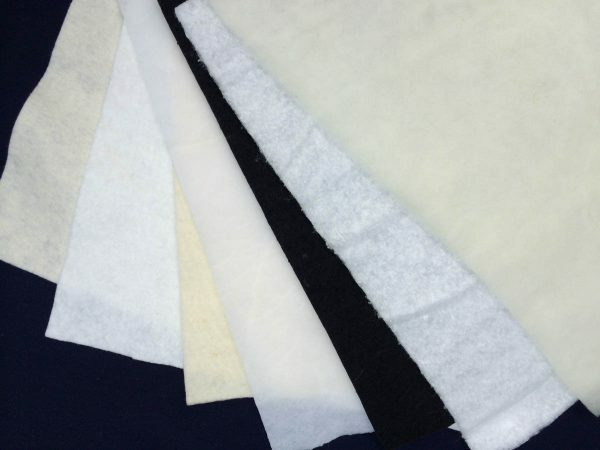 For a baby quilt or lap quilt, I often use a blend of cotton and polyester (80% cotton/20% polyester) which will wash well without shrinking a lot. It is also fine for a thinner look or a quilt that will not have as much quilting on it. 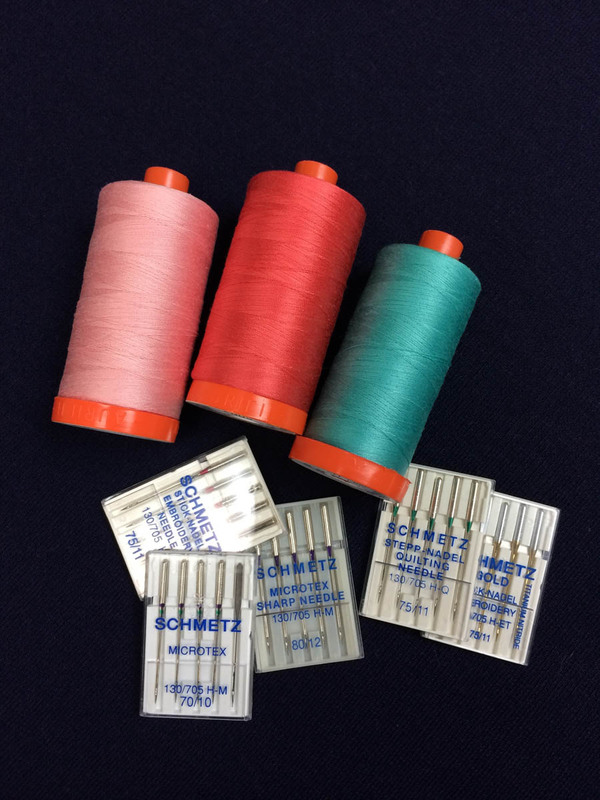 I avoid all polyester as it is very slippery and, unless it is pinned extremely well, will tend to create little pleats at the stitch intersections on the back. I won’t use any batting made from recycled plastics as I have experienced melting of the batting. Luckily, it was just in the dryer before I used it in the quilt. I, also, do not like to use spray baste or fusible battings. Pinning may be more trouble, but I like to know what is going into my projects. Small projects are the exception as they are usually wall-hangings, not to be washed. With so many choices, think about how the quilt will be used, if it will be washed, and how much quilting will go on the quilt. With just a little thought, it should be an easy decision of which batting to use. If you have any doubt, try out a new product on a smaller test piece before going all out on your next masterpiece! 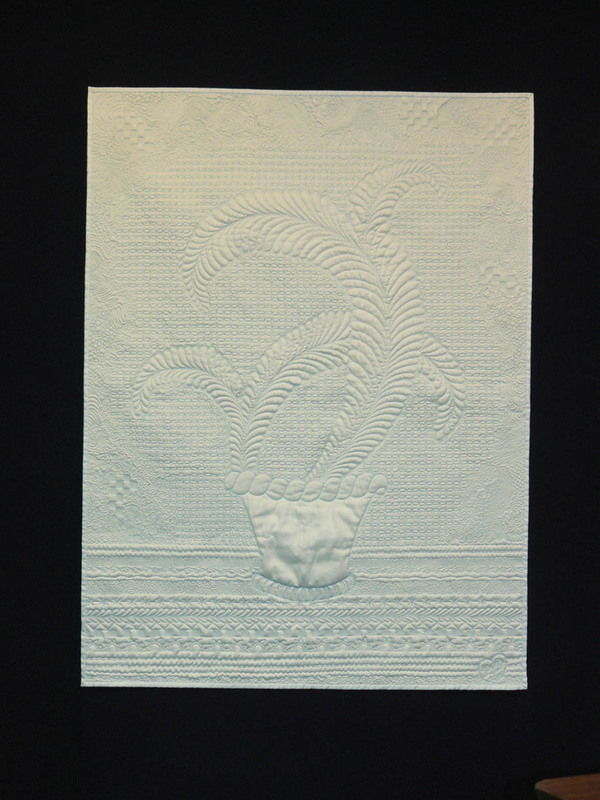 First, there are several cotton battings that do not shrink and give an antique look –e.g. Quilters’ Dream Cotton; Second, you say you do not use polyester but Thermore is a polyester batt. Perhaps you don’t notice the shifting because you use it on smaller pieces? Or again –there are poly’s and poly’s. Great article, very informative. Good to know the options and for which quilt type they work best.